Vacuum Metalizing on Alumilite white??? Hey Folks been using this for fishing lures for a long time. Have a few of my own designs that have become popular with a few fellas around here but the question always comes up can you do them in chrome? I have tried just about every product I can find from spray to dip to foil wrap and am just not getting the results I want. Has anyone ever done it or does anyone know if the White will stand up to the heat of vacuum metalizing. Would love to start a technical discussion on what Vacuum Metalizing is but not for this forum. Let me know your experiences downfalls or results! Thanks in advance Ladies and Gentlemen. I do know that if you spray paint the HS-2 RTV Silicone mold that RC-3 resin will pick it up the color. Check out Alumilites dyes,metallic powders and Alumidust and see if any of those would work with your application. Brian's right, you can use spray paint on the mold. I've used White and it works just like RC-3. You can use the Alumilite dyes, powder, and dust or spray the mold or if you're quick, you can spray the White as soon as you demold but if you spray after demolding be sure to do it while the resin is still warm as that heat will be the bonding agent to the paint. 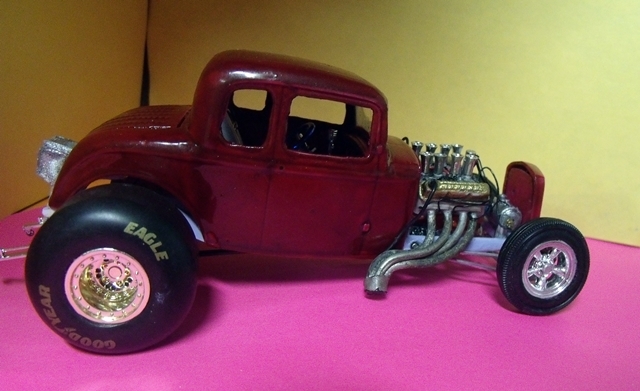 I might add a couple of suggestions on what we model car scratch builders do to achieve a Chrome effect on resin pieces that might work on fishing lures. Bare Metal Foil is definitely out just by the nature of what it is. A newer product that is out there is Molotow pens which has a Chrome color that some builders have used on bumpers and trim pieces with success. I don't, how ever, know how long it would last being exposed to water and the refills are a bit pricy. The Amdized Gold MOROSO valve covers are from a RC-3 pour. I simply cleaned off the excess flash and shot only enough Gloss Black till they showed a gloss. I had to be very careful with this so that I didn't loose any of the raised letter detail on the top of the valve covers. I then shot a thin coat of Rust-Oleum Metallic Gold. Had I not been so particular with detail, another couple of coats of Gloss Black and another coat of Metallic Gold would have really made this shine. Notice the horizontal round tank ahead of the engine and behind the grill. Here's a better view of the horizontal fuel tank ( above the tire and behind the grill) with this piece I had no concern about too much paint covering up any fine detail. I wanted the tank to have a Chrome appearance. The tank was scratch built from scrap Styrene plastic pieces that I had laying around. 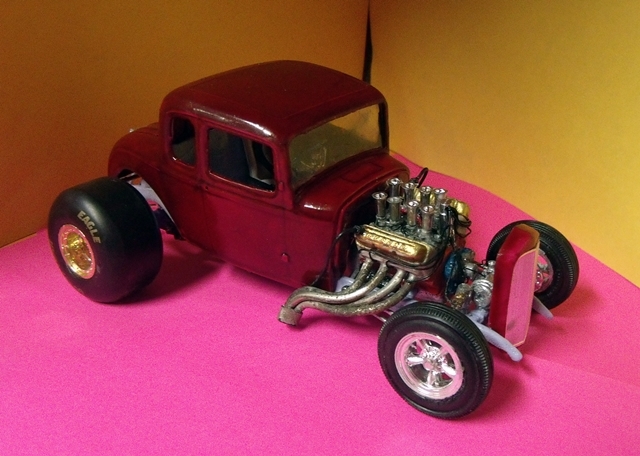 Styrene plastic would be the same plastic that a model car kit is made from. As I remember it was 2 or 3 Gloss Black coats and 2 or 3 coats of Dupli-Color Chrome. Its kind of hard to see in the picture, but there is a reflection of the back side of the tire and wheel. I paint my resin pieces and the Styrene plastic pieces the same way....same primers and same paints with no issues to speak of. awesome info guys I will try it and let ya know. Will try and post pictures of results.